I was in Atlanta last week attending the International Christian Retail Show where I met up with fellow author and friend, Kathy Howard. We shared a room, lots of chocolate and a ton of laughs. On our first free night, we rented a movie in our hotel room: Soul Surfer, the true story of Bethany Hamilton who lost her left arm in a shark attack while surfing. Bethany’s story, if you don’t know it already, is one of courage, determination and one-yes-at-a-time faith. After losing her arm, she refused to give up her surfing or her faith. A year after the attack, against all odds she won the national surfing title. Two days after seeing the movie, I was surprised and delighted to meet the real girl whose life inspired the film. And, no, I am not standing in a ditch, Bethany is tall. Bethany’s mom, Cheri Hamilton was signing copies of her book, Raising a Soul Surfer, which I read cover to cover on the long flights home. Bethany’s story inspires me to be grateful for every arthritic joint I still have and to think twice before saying “I can’t.” But the bigger message is that when our dreams crash and burn, we need to look to God and see what His dream is for us. When Bethany lost her arm she was already achieving recognition as one of the best young surfers in the Hawaii. The shark attack initially seemed to destroy her dream to be the regional champion. But because Bethany trusted in God and in His promise to give her hope and a future (Jeremiah 29) she followed Him one yes at a time to far greater prominence in her sport and in her faith. Because of her, people worldwide have heard about the God who is still in control even in the midst of our tragedies, broken dreams and ruined plans. Not only is God still in control, His plan is to use all of the broken pieces of our lives for good. Bethany’s “loss” gave her a platform for huge gains for so many people. A few days after arriving home, I was sharing “tea and toast” with my grandkids — a regular ritual and great blessing. I showed five year old Jasmine and four-year-old Eli the picture of Bethany and me and told them her story. They asked a lot of questions about how Bethany manages to do things with only one arm. We tried cutting up our toast with one hand and talked about the challenges and how to overcome them by doing things a little differently. 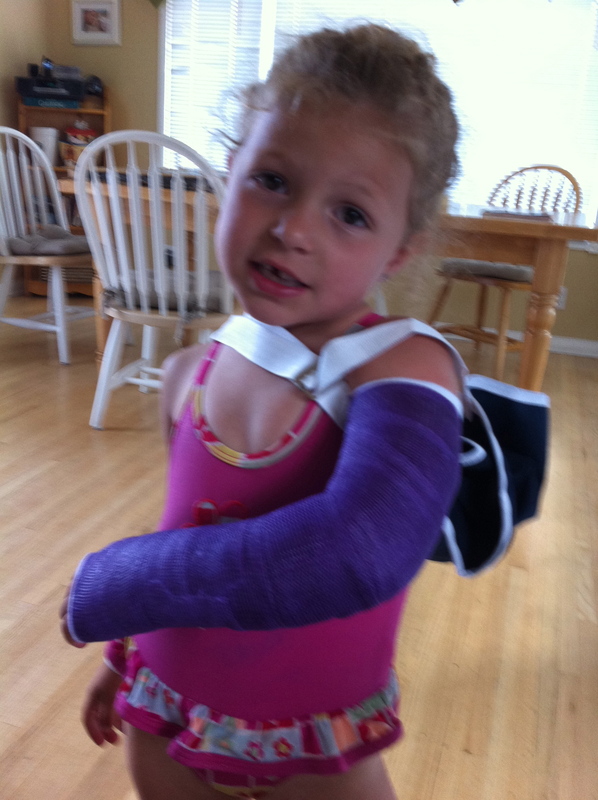 A few hours later, Jasmine fell off her bike and broke her left wrist in two places. She came home from the doctor with a cast up to her shoulder. She wasn’t worried, she told me, because now she knew that people can manage just fine with one arm! 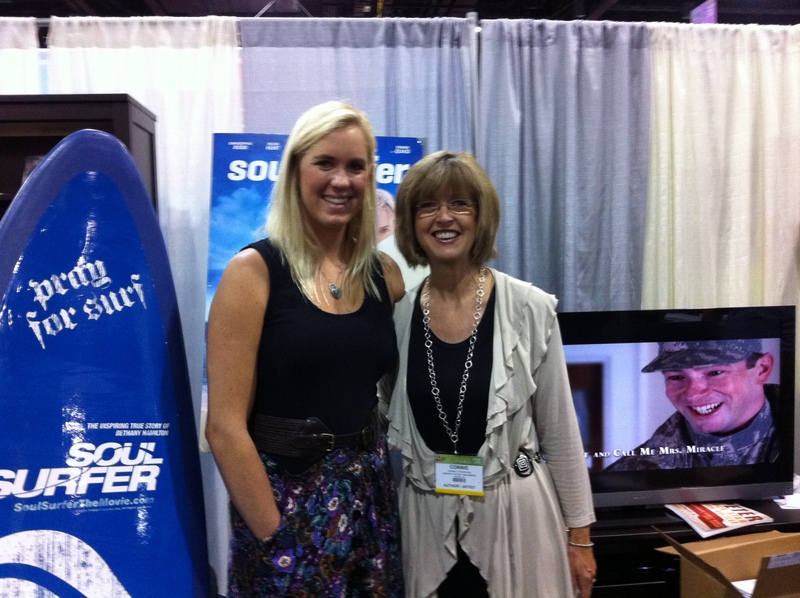 Thank you Soul Surfer for sharing your faith and courage with so many — even my preschool grandkids!